First Sentence: His chest was exposed and there were electrodes attached to his skin. 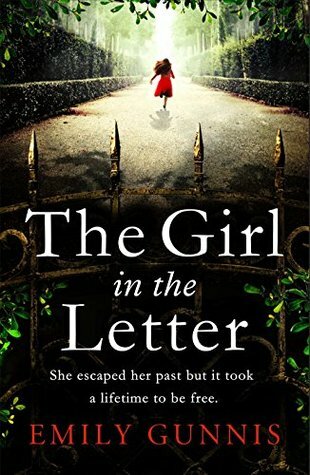 My Opinion: A thriller with some romance that will keep you intrigued. Once again, this prolific author has produced a novel with a story that is compelling enough to make it a worthwhile read, especially if you are a fan of his writing or romantic suspense in general. 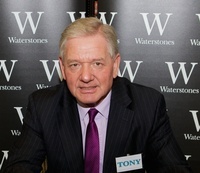 Tony is the author of five DCI Sarah Rudd City thrillers. In each, he draws upon his career as a London financier to expose the underworld of dark practices and shadowy characters. None, however, are able to withstand the bravery and incisive detection methods of one of the police force’s bravest officers. Her juggling of career demands, husband, children and her own demons, make riveting reading. He has now written two more novels which trace the early career of probationary police constable Sarah Whitson. In ‘On Scene and Dealing’ she meets her future husband Nick. In ‘Journey to the Crown’ she has a devastating affair with Dr Martin Redding. The final chapter jumps ahead to sample her future life as a private detective. Tony has created an innovative series as a novella writer. Reflecting iconic cinema classics, his first is ‘Lunch with Harry’, which is inspired by ‘Breakfast at Tiffany’s’. Others to follow include ‘Twelve Troubled Jurors’ (echoing ‘12 Angry Men’) and ‘Forever on Thursdays’ (capturing the drama of ‘Brief Encounter’). He writes short-stories wherein the net proceeds go to HEART UK – The Cholesterol Charity. He is an ambassador for the charity. Aged seventy, Tony is a follower of the wisdom of Albert Einstein: “When a man stops learning, he starts dying.” He lives in Bedford with his wife Judy. They value every trip down the M1 to Watford to be with Grandson Henry. Labels: Romantic Suspense, Thriller, Tony Drury. The Outsider by Ann. H Gabhart.